It must be dark to see the stars! Start at dusk but don´t stop before its dark! 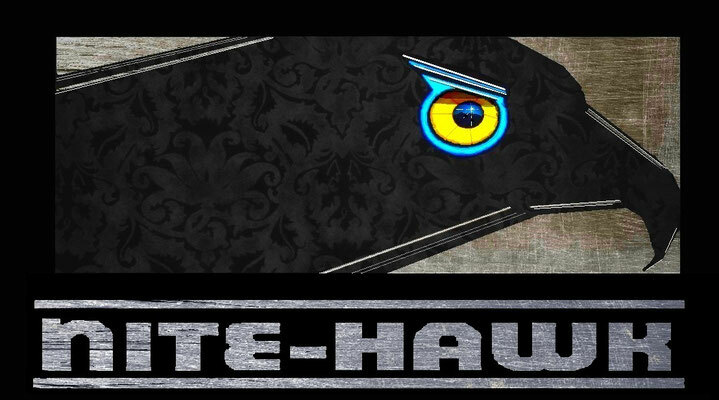 The effect of the Nite-Hawk is dependent on the contrast of ball and environment. The sensitivity of the human eye is directly related to the level of darkness. In complete darkness the Iris is opened to the highest level and we get enormously sensitive against light. Under these conditions we can see stars 2,5 million light years away (Andromeda) or a golf ball, where only one dimple is exposed. However, you can have reasonable success even in the twilight or at daytime, when seeking in bushes or woods. The perfect place is the inner side of a dogleg, where the players want to take a shortcut. If here are dense bushes, dense grass or nettle fields, then you have chances to find lots of balls, often two or more balls only few yards apart (really!). Many balls can be found in the landing distance behind the tee, directly on the sides in front of the greens are reasonable places, and also in the shallow water. Interestingly directly behind the tees are hot spots! 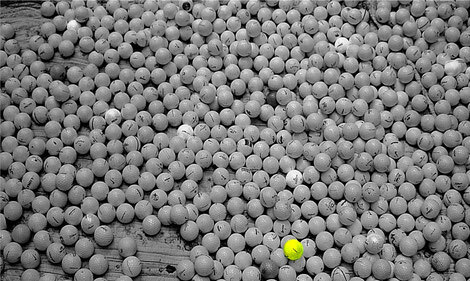 Many bad players hit a socket or a topper but won´t search for such a ball, as long their buddies are sneering at them (would you?). If you go out, don't be afraid of the hedgehogs, the foxes and the owls. Some day you will meet them! Just say hello and apologize for being in their backyard! 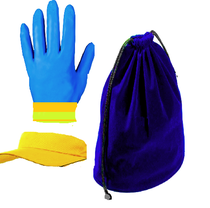 Take with you: bag for the prey, gloves to protect hands and visor cap to protect eyes from branches (its dark).